Abigail’s Collection boasts a fantastic selection of well over 100 gorgeous bridesmaid dress samples in a variety of fabulous colours, designs and lengths! Designs are by the brilliant D’Zage, Hilary Morgan, Alfred Angelo, Mark Lesley, Amalfi Bridal and Kenneth Winston and are available to order in over 350 different colours! 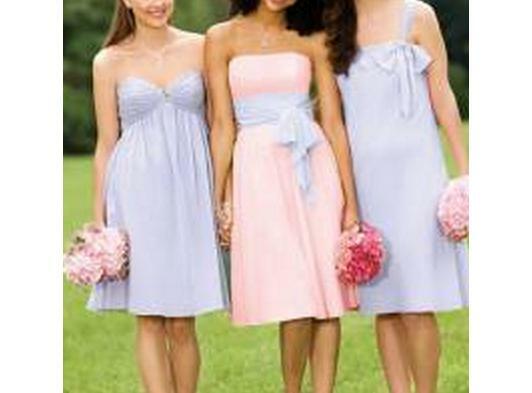 We aim to help you find a bridesmaids style that will suit all of your girls, from trendy knee length to long and elegant. Many of our brides tell us that it is really important to them to find a dress which suits all of their attendants and one that they will all equally love and look fabulous in! That’s where we can help! Visit us with your bridesmaids and enjoy a fantastic trying on session in the comfort and privacy of your own consultation room. We’re often told that we have the best collection of bridesmaid dresses in Colchester and our appointments do get booked up so please call in advance of the day that you would like to visit to avoid disappointment. Samples are available to try up to a size 26 and more great news …. our in-store menswear hire (and made to measure suit range) includes every one of our bridesmaid’s dress colours in neckwear options so you can be sure that the wedding colours will all tie in perfectly! 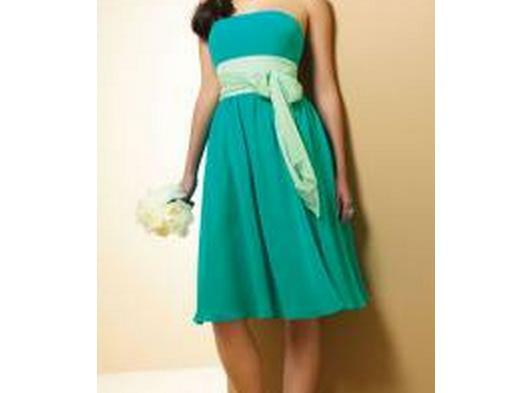 Our bridesmaid dress prices are fantastic too; from just £145 to £245. We would like to take this opportunity to thank our customers for the many amazing nominations and the Judges for awarding us.